Do you Workout? Like to walk? Like to run? Exercise? want to help kids with cancer? If you answered yes to any of these, then Team One Step Virtual is perfect for you! Join our virtual team and choose your fitness goal for the four-week event, download the app, and make a difference in the life of a child with cancer. The easy-to-use app will track your mileage, calories burned, and distance of your work-outs. 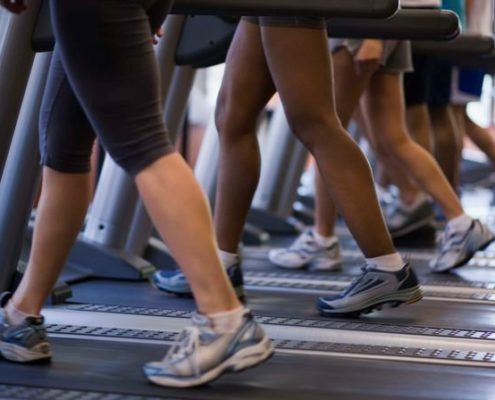 People from all over the country can participate since work-outs are done wherever you are- including the treadmill. Being part of a team will help you get and stay motivated. Every time you work-out, your mileage will automatically upload to the team’s cumulative progress. Participants get a webpage that can be personalized to distribute. We supply fundraising templates, photos and videos to make fundraising easy. The suggested minimum fundraising amount is $250.00 and your registration fee of $25.00 goes towards your goal. Help send kids with Cancer to camp. 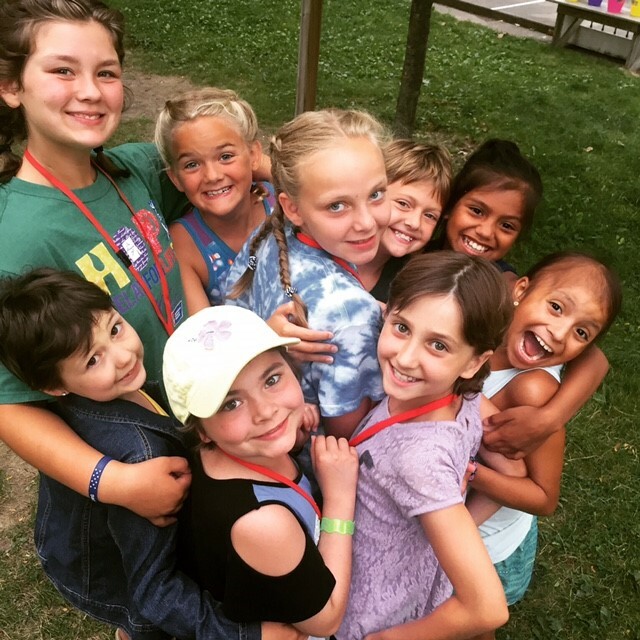 By offering fun, recreational and educational activities at camps held throughout the year, Camp One Step brings children together in a non-hospital setting where they find hope, support and understanding from their peers. Our campers will tell how camp has changed their lives. Become a hero to kids with cancer as you walk, jog or run. The registration fee is $25.00, includes a Team One Step workout shirt, and goes towards your fundraising goal. Once you register, you will be emailed a link to your fundraising page with step-by-step instructions on how to personalize it. After you personalize your fundraising page, you can distribute the link to your network by posting it on social media, text, and email. Let them know what your fitness and fundraising goals are and that you are doing this to raise funds to send kids with cancer to camp. An example is below. I’ve committed to walk/jog/run 26 miles and raise $500 this month to help send a kid with cancer to Camp One Step. Please support me on this journey by making a donation (insert your fundraising link here). Where does the money go that I raise? Childhood is swept away in an instant by a diagnosis of cancer. Camp One Step gives it back! Camp One Step exists to heal these scars that no one can see. Through community, support and shared experiences with peers, we deliver happy, pain free medicine called “camp.” We empower children to find new hope and believe again in a brighter future. Funds raised will help send children to one of our 11 programs. It costs an average of $1,000 to send a child to a week of camp. What if I get a donation in the form of a check? You can mail a donation to Camp One Step, 213 W. Institute Pl, Suite 306, Chicago, IL 60610 Attn: Team One Step. Please include a note with your name so we can note the gift on your fundraising page. My friend donated and their company provides a matching gift. What do I do? Please email Jill at teamone@camponestep.org so she can send you or the company the information needed to process the match and note your account. You can track your workouts by setting up your Fitbit device, or download the Charity Footprints’ iOS or Android app and track your workouts toward this campaign. Set-up your Apple Watch by syncing your watch with “Health” app on your iPhone, and then downloading our iOS app and enabling “HealthKit integration” from your profile settings. My workouts include yoga, cycling and rowing. Can I track these as well? Is there a way to track your mileage without the app? Should I use the setting “Always” or “During Workouts” when I sync my FitBit? Using the “always” setting is preferable. What if I don’t meet my fitness goal? We are here to help motivate and inspire you to reach your fitness goal- whatever it is. If you don’t make it, we will be here the next time you want to give it a try! How far have we gone as a team? Is there a way to track who is leading in fitness and fundraising? How can I donate without joining Virtual Team One Step? 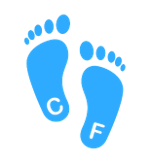 You can support a participant by clicking here https://www.charityfootprints.com/participants?id=189 or click here https://www.charityfootprints.com/donate?id=189 to donate directly to the Camp One Step. Who can I contact directly if I have questions on the virtual program? We are here for you every step of the way. Jill can be contacted via email at teamone@camponestep.org or 312-217-9778. 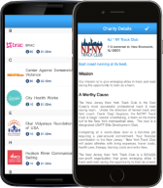 We partner with Charity Footprints to offer participants a free App, personal fundraising page, and team webpage displaying Team Fitness Goals and Team Fundraising Goals. This 4-week program will help participants get fit as they help send kids with cancer to Camp One Step. Our coaches will send weekly wellness and training tips, and campers will provide inspiration. Simply sign- up and download the app to track mileage, calories burned, and pace. After a workout, the app automatically adds the mileage towards the team’s goal. Have a Fitbit or Apple watch? The app can sync to your Fitbit or Apple watch and automatically update your page with your distance and information. Sound easy? It is. Regular exercise helps us have more energy, sleep more soundly, and feel better overall. It also releases endorphins that make you feel happy. Team One Step Virtual will help you exercise so you can feel great every day! Every week, you will receive fitness tips and encouragement from our coaches and plenty of inspiration from our campers. Our campers will tell you how camp has changed their lives. You will become a hero to kids with cancer as you walk, jog, or run your way to fitness. Team One Step provides fundraising assistance, so you can not only meet, but exceed your goal. We provide a fundraising page that you can personalize, incentives to go above your minimum goal, and templates on what to write.